This will change your entire deep conditoning game. I don’t know about you, but I love to use deep conditioners. I turn the treatment process into a full on at-home spa session. I’m the type to leave my treatment in for hours and mix it up with an oil (coconut oil, to be precise) for extra conditioning while watching Netflix, painting my nails or while cleaning up around the house. Truth be told, I always felt that I was giving my hair some extra TLC based on the extra time I would allow my deep conditioners to marinate in my hair. 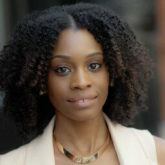 All Things Hair: Is it okay to leave deep conditioners longer than instructed? Leon Van-Gorkom: Yes, there is no harmful effect from leaving on any rinse-off conditioner longer than recommended. However, there is no additional benefit from leaving these on for longer than recommended by the manufacturer either. Is there any difference between a deep conditioner and a hair mask? There are many ways to describe such conditioners: deep conditioners, super conditioners, treatment conditioners or masks. They are all similar high conditioning products that provide nourishment of the hair and leave hair looking and feeling beautiful. Typically, such products are not recommended for daily use but normally for weekly use in place of your regular conditioner. Adding oils like coconut oils can help you get a deeper treatment. Will adding coconut oil below your deep conditioner help with penetration? During the hair washing process, hair swells due to the water and nourishing ingredients that target the core of the hair will diffuse into the hair during the application. Small size, liquid oils will penetrate faster into hair when applied dry. Coconut oil may be used as a leave-in conditioner or added to a deep conditioner. Use sparingly, as applying too much may result in weighed down, oily hair. If adding to a deep conditioner, only add right before application, not to the entire bottle, as coconut oil can solidify quickly and make conditioner lumpy. Does adding heat help with penetration? Heat may allow extra swelling of the cuticle to fully allow the deep conditioner to absorb into the hair. Some people use a conditioner first and then use deep conditioners afterward; is this really needed? Should one skip the conditioner after shampoo and go straight into the deep conditioning process? It is recommended to use deep conditioner/mask in place of your regular conditioner. There is no need to use your regular conditioner first. 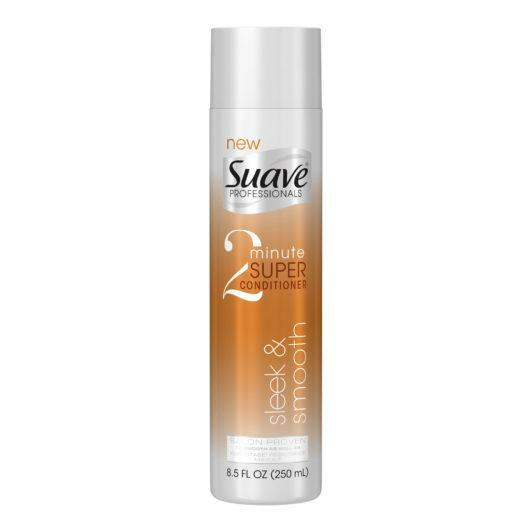 Ed’s note: We love the smoothening and nourishing benefits we get from Suave Professionals 2 Minute Intense Moisture Super Conditioner and Suave Professionals 2 Minute Sleek & Smooth Super Conditioner, which give your hair an espresso shot of moisture and softness, as well as a wonderful shine, in a jiffy. How to Deep Condition Hair While On the Go.